We understand the sentiment of "never say 'never'" however there is one phrase you will never see or hear in Dual Citizen land and that is "African Print." Mainstream & fashion media refer to the often brightly colored fabric as "African Print" or even more cringeworthy, "tribal" but these descriptors ignore the intricate, crossbred cultural background. We much prefer to call the fabric by its name, Ankara or Wax prints. Even though Wax prints or Ankara fabrics gained significant popularity initially in West Africa, they actually originated from outside the region. The beginnings can be traced back to the Dutch East Indies (now Indonesia) where locals used the technique of wax-resist dying to create a pattern, hence the name Wax prints. There are a few theories on how the textiles ended up in West Africa but it's where demand was strong and thus became known as "African." However, when we refer to these fabrics as African, there's a large part of the story missing. Since then the print has been become a staple and important piece to the textile and fashion industries in West Africa and beyond. At once only used for outfits for special occasions, Ankara evolved to be used in everything from earrings to shoes to handbags. We've seen traces and influences of Ankara fabric in the works of designers like Michael Kors, Stella Jean and on celebrities like Gwen Stefani and Rihanna. 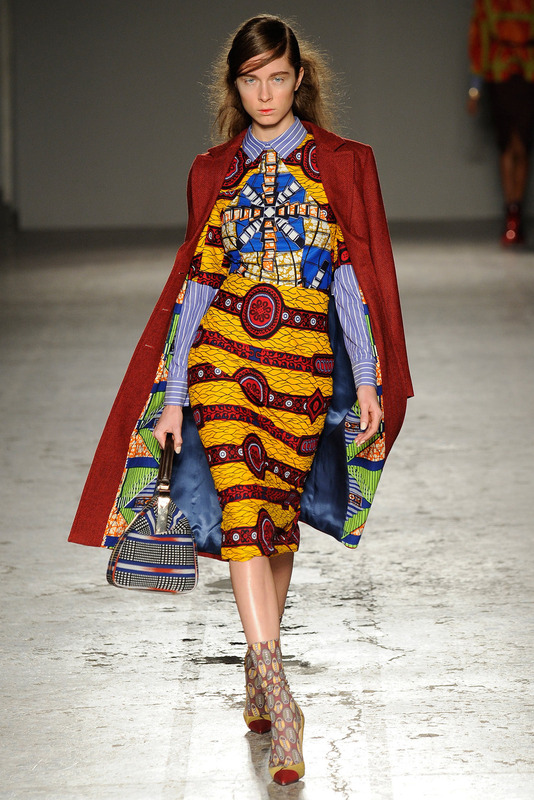 We love the story of Ankara fabric because it represents a merge of cultures and influences - just like Dual Citizen.